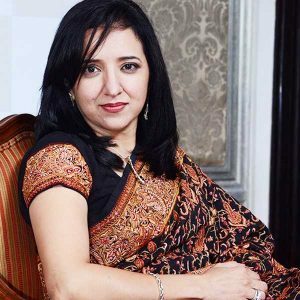 Sangeeta Lakhi qualified in Law in 1993 and possesses an experience of over 20 years in the legal industry. 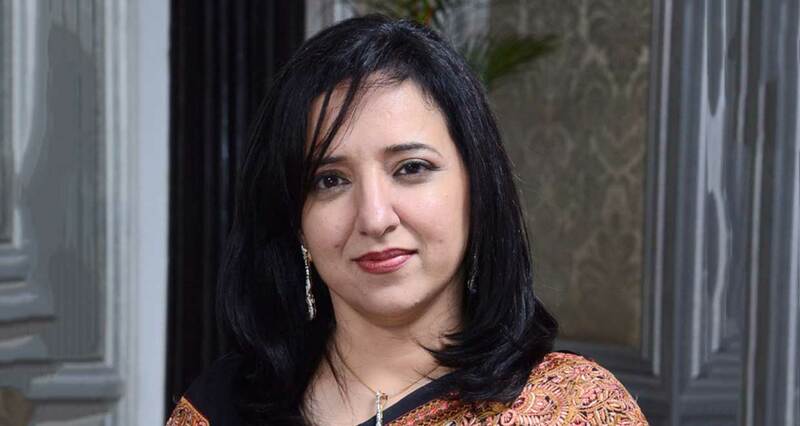 She has worked as an Associate at Crawford Bayley and is at present a Partner at Rajani Associates. She has been handling the International Capital Markets practice of the firm since 2004 for which she has been recognized as a ‘Leading Lawyer for Capital Markets’ by Legal 500. Sangeeta has recently completed 105 issues of GDRs, FCCBs and QIPs, each of them full-fledged transactions, handled by her. Each transaction has been unique and no one transaction has been the same as the other. Sangeeta has handled these issues for companies in almost all sectors, whether they be pharma, textiles, oil, manufacturing, service, etc. Choosing law as a profession and changes in the legal sphere since she graduated in 1993. Working in the corporate sector and her specialization. Advice to students about the Corporate Sector and prioritizing. How would you introduce yourself, given that most of our readers are young law students & young lawyers? I am a happy lawyer. I love my work and am constantly looking out for more challenges. What incidents, influences or interests prompted you to think of law as a career? If not law, what would you have considered for a career? At first I was not serious about law and just wanted to study some more. However, after I started working at a law firm and on assignments, I developed a liking for the field and the challenges that each assignment contains and the satisfaction that I get upon their completion. I love to travel so if I hadn’t become a lawyer, I would have been an air hostess! What has your experience with legal education in this country been like and how relevant do you feel it has been to your profession after attaining your LL.B in 1993? The legal education in our country is improving and I am very proud and happy about it. I am happy with my education and what I’ve achieved before I started work in 1993. I did my B.Com and then did an MBA and law, not to mention other small courses along the way. All of these have shaped my career and outlook towards people and the world. How competitive would you say the legal profession was when you entered it, has it changed since then? Not very! A lot has changed now. We hear of new law firms springing up every month and it is constantly getting more and more competitive. What led you to a practice in Capital Markets as your area of speciality? In 2004 when the market was booming, I chose to work on international capital markets, in which I have completed 105 issues. When the markets fell in 2008 and deals in international capital markets became scarce, I went back to what I was doing prior to 2004, i.e. corporate work. Did you always prefer corporate practice what thought do you have for litigation? Although, I have done some litigation, my preference has always been on the corporate side. Please tell us a bit about your time at Crawford and Bayley. My years with Crawford Bayley & Co. were very good and taught me many things, not just law. My senior, Mr. Suresh Talwar was the best teacher I could have asked for, and I have learnt a lot from him. What prompted the shift from Crawford Bayley to your current Firm? I guess I was looking for a change of work. For Rajani it was just the idea of supporting and growing the firm from its inception. What were the biggest obstacles and challenges faced by the firm during the initial days? At the beginning we were a start-up and did not have a brand which motivated us to prove ourselves with our hard work and dedication and win clients’ confidence and appreciation. None. I am a workaholic. How do you balance your professional life with your personal life given the heavily demanding working hours of the profession you have chosen? It is just a matter of priority. I ensure that both my professional life and my personal life get due attention. In dealing with clients within and beyond the domestic markets, what do you personally believe have been your greatest accomplishments through the 105 issues of GDRs, FCCBs, and QIPs you have dealt with so far? Each transaction has been unique and has had its own challenges. In dealing with the number of clients, merchant bankers and lawyers across the globe, I have made new friends and we receive, as well as, provide referral clients to each other. What are your plans for your career path in the future both presently and in the long term? To continue to work hard and be recognised as one of the Magic Circle Law Firms in India. What would be your advice to law students and young lawyers looking forward to make a mark in the industry? This field is not easy. It requires a lot of hard work and dedication. You must be serious about your career and be ready to deal with various kinds of clients. What would your parting advice be to our readers? Don’t forget to enjoy life!